BOINKS!® by WOV-IN® are safe, durable, fun, stress relievers. 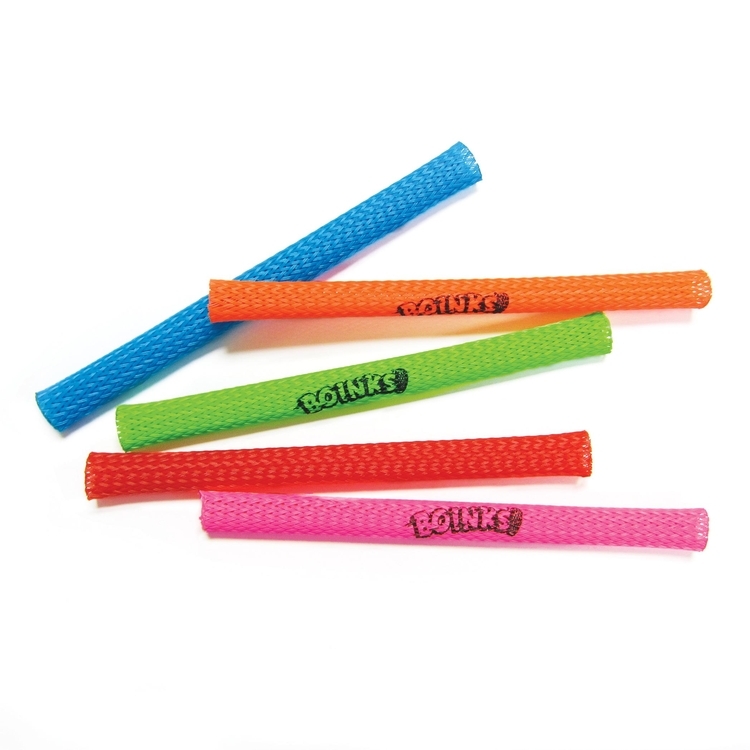 Squeeze and shoot the “spring-like” plastic mesh tube up to 30 feet. There are dozens of ways to use them for play as well as multiple types of therapy. Pricing includes a pad printed, 1-color on one location imprint. Size: 5" L x 3/8" D.
Imprint Area: 3.25 x .3125"
Item Colors: Aqua, Lime, Hot Pink, Neon Orange, Red. Set-up: $55(G). Repeat Set-up: $30(G).